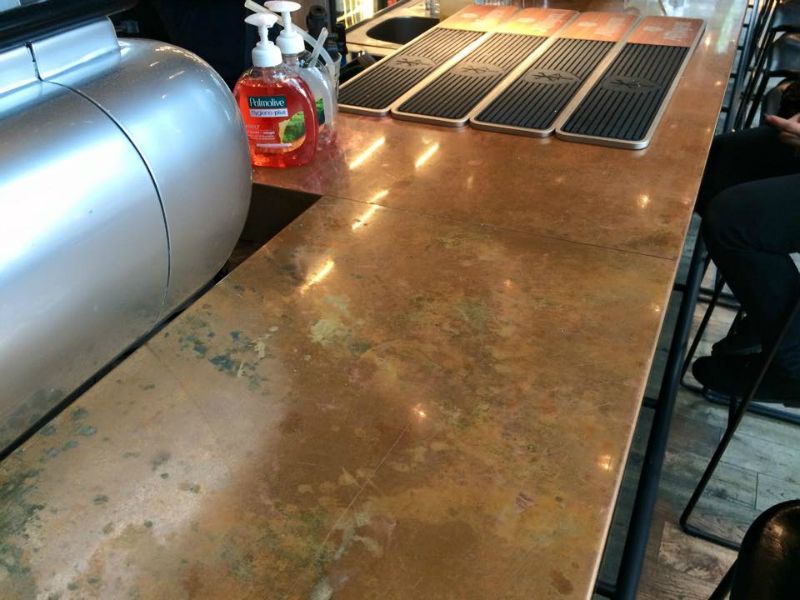 A bar owner asked me if i could patina his new copper bar. 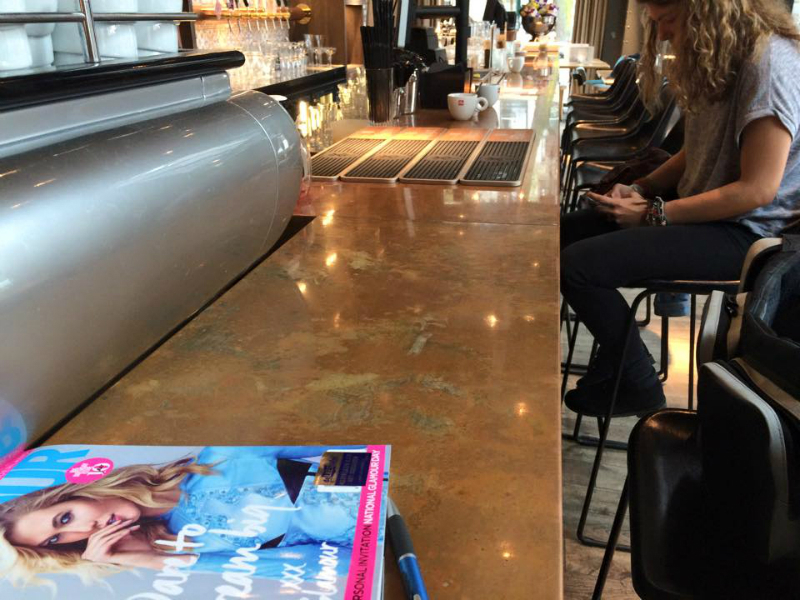 The bar at the moment was so newly build that it lacked the authentick atmosphere the client wanted in his bar. 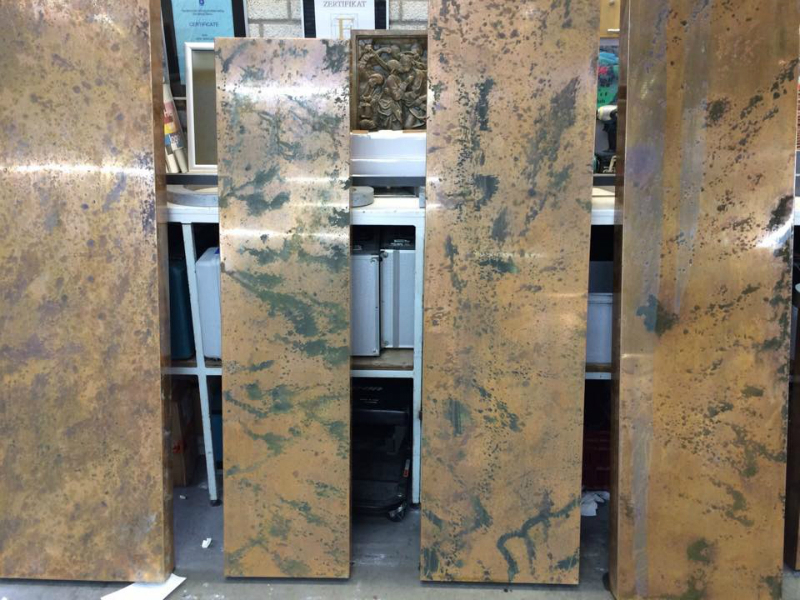 So the copper bar components were delivered at my studio where i started to patina the copper with different chemicals and salts. 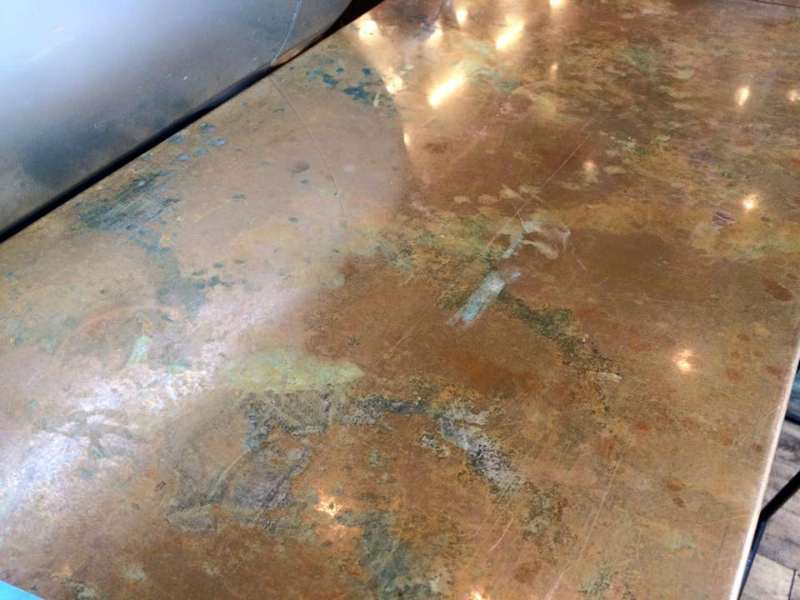 The proces can be done on location, but due to the fact that the patina also contains sulfer it gets rather smelly for a day. The effect was very nice and exactly what the client wanted. The bar looks great and antique.